I'm pleased to announce that I received an email last week from Head On Photo Festival to invite me to be a featured exhibitor at Head On Photo Festival 2016 in Sydney with my work 'Mixed Emotion'. I'll post more details once I find out more! The opening ceremony of the Pingyao International Photography Festival (PIP) 2015 took place on the morning of September 19th. 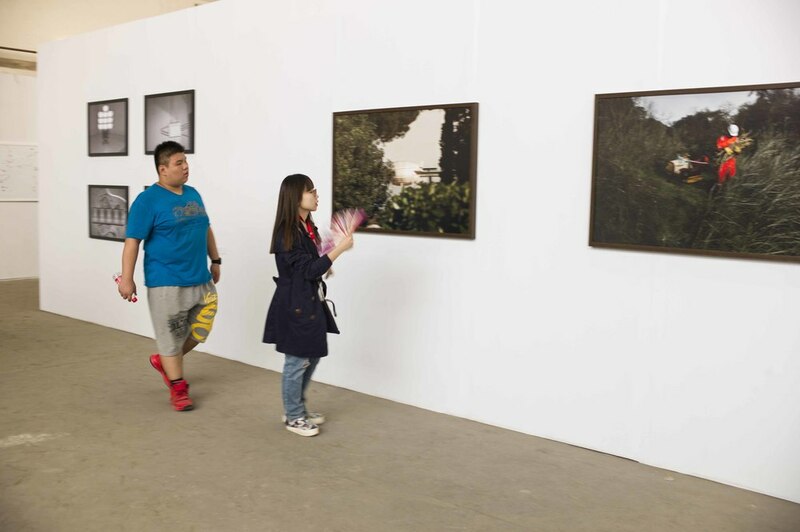 After the spectacular ceremony at the railway station, the festival was declared officially open, and people flooded into the ancient city of Pingyao to visit the photography exhibitions from both international artists and Chinese artists. I was very grateful to have been invited to attend the festival, as part of the exhibition Back and Forth, curated by Moritz Neumüller. This exhibition was a group show of work from artists who have passed through the Master of Fine Art Photography at The European Institute of Design (IED) in Madrid. The selected artists in the show are: Ricardo Cases (Spain), Stephen Chalmers (US), Edmund Clark (UK), Anna Fawcus (Australia), Jorge Fuembuena (Spain), Vivek Manek (India), Marta Mantyka (Poland), Simon Roberts (UK), Han Shuo (China), Joan Villaplana (Spain). I arrived into China late last night, after the long journey from New York. 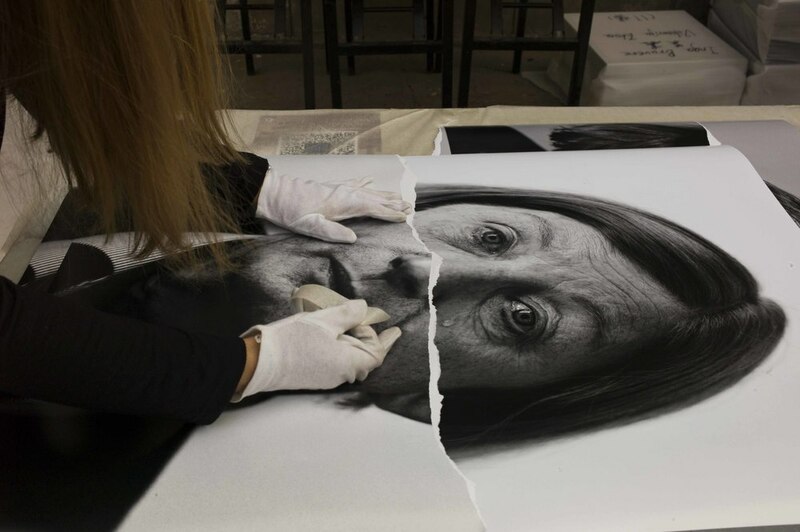 Joan Villaplana and myself started early this morning with preparations for the exhibition 'Back and Forth' which will be opening as part of the Pingyao International Photo Festival (PIP) on September 19th. We spent some time this morning at the framers, where we were able to review some of the final prints, and I began the deconstruction and reconstruction of my works. After the framers, we went on to the exhibition space to take some measurements and look at how the works from the 10 participating artists will be presented. Back and Forth is an exhibition curated by Moritz Neumüller, presenting the work of ten artists; Ricardo Cases (Spain), Stephen Chalmers (US), Edmund Clark (UK), Anna Fawcus (Australia), Jorge Fuembuena (Spain), Vivek Manek (India), Marta Mantyka (Poland), Simon Roberts (UK), Han Shuo (China), Joan Villaplana (Spain). It is a selection of works that reflect the world we live in, from the point of view of contemporary lens-based art. I was very grateful to receive the invitation to show my work as part of a group exhibition at the Pingyao International Photography Festival in China and to attend the festival, which will run from 19-25 September, 2015. Back and Forth is an exhibition of ten artists who have recently passed through the aulas of the IED Madrid school; five of them as students, the other half as teachers. It is also a selection of works that reflect the world we live in, from the point of view of contemporary lens-based art. Needless to say that there are common subjects, such as landscapes and still-life, portraits and street-life. 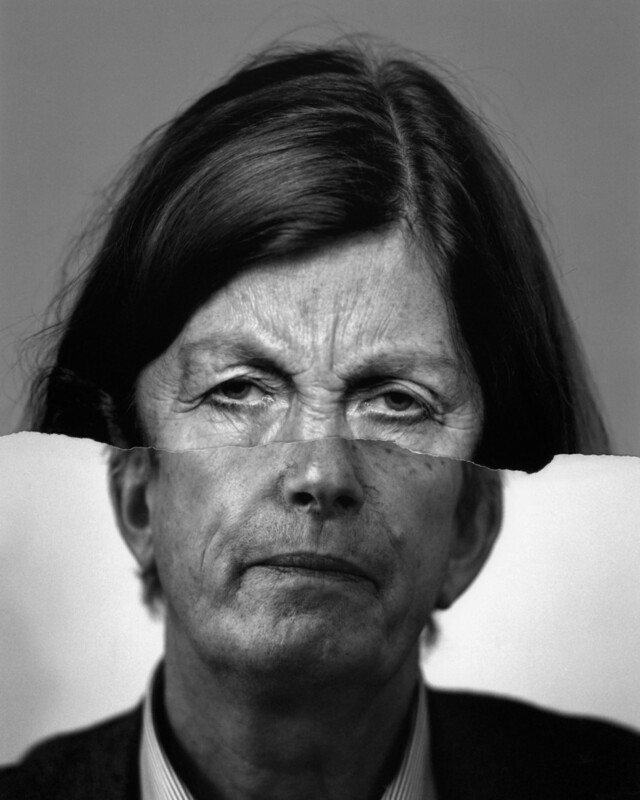 However, all of the participating artists make use of a visual language that combines formal clarity, technical brilliance and a sound understanding of what photography is, or might be, in the second decade of the twenty-first century. The exhibition will be curated by Moritz Neumüller and the 10 participating artists are: Ricardo Cases (Spain), Stephen Chalmers (US), Edmund Clark (UK), Anna Fawcus (Australia), Jorge Fuembuena (Spain), Vivek Manek (India), Marta Mantyka (Poland), Simon Roberts (UK), Han Shuo (China), Joan Villaplana (Spain). I will arrive in China on September 14th to be involved with the set up and preparation of this exhibition, and stay until the end of the festival. I look forward to sharing blog posts and photos with you throughout the coming weeks. 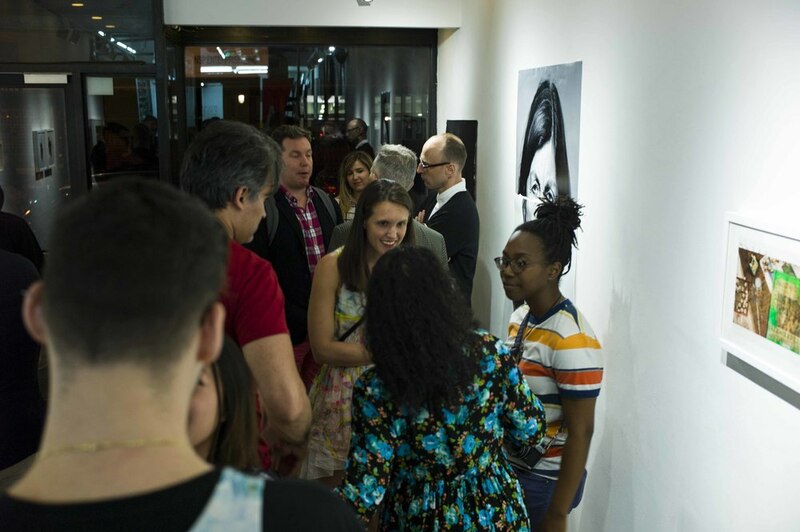 Last night was the opening night of 'Giving Back', at Con Artist Gallery, in the Lower East Side of New York. In the city of New York there is no shortage of people in need of a hand. A group of our artists are coming together to give back, each in their own personal way. Regardless of where we are in our art, we’ve all had some help along the way. Contributing artists in Giving Back now return the favor by donating a percentage of their sales to a chosen charity. Barefoot Initiative is a Non Government Organsiation (NGO) working to assist communities in the Afar region of Ethiopia. They use a Human Centered approach, applying simple, and appropriate technology to develop projects in close collaboration with the community so that they can maintain and further what has been done. The Afar region lies in North Eastern Ethiopia and is the hottest inhabited place in the world. The Afar people of Ethiopia are nomadic pastorlists who survive by herding camels, cows and goats. The estimate of the population is approximately 2.2 million. They live a harsh existence faced by violent tribal rivalry, constant drought, and extreme weather conditions that commonly exceed 40 degrees centigrade. The Afar has fewer hospitals, schools or social services than almost any other region in Ethiopia. Although under-five mortality rates are declining in general in Ethiopia, in the Afar they are increasing (EDHS 2011): 127 deaths per 1000 children surviving to 12 months of age. From the 2011 Ethiopian Demographic and Health survey it is estimated that approximately only 5% of the Afar population has access to proper health care and there are only two hospitals that serve the entire region, which covers 278,000 sq. Kms. Literacy among the Afar is very low, around 2%, with conventional schooling inappropriate for the nomadic lifestyle. The traditional language spoken by the Afar people known a Cafar-af, is not used by the educational system, and thus deters many students. I was very grateful to have my work Mixed Emotion (M.E.) be shown as part of the D-Light Studios Open Gallery Exhibition for this year's PhotoIreland Festival in Dublin. Unfortunately, I wasn't able to be there for the opening, but there were some great photos, thanks to the people who did attend and shared them with D-Light Studios. As it turned out, there was a photo competition running in conjunction with the exhibition, with all artwork being considered. I was very honored to hear the news that my work had won for Best Artwork and thankful for the generous prizes. I look forward to spending a day in the studio at some point in the future, and will very much enjoy the editions of BLOW Photography Magazine. Many thanks to the people who attended and shared their photos with D-Light Studios, so that I was able to include them here! What are we made of? How are we composed as people? A society? An identity? How do we fit together and why do we fall apart? Artist Christopher Tandy curates “We Fall Apart” in response to these and other questions that grapple with the constructions and concepts of what we are. In this group show artists use multi-media expressions to define who we are as people individually and collectively. “We Fall Apart” explores the space between existential meltdown and the frenetic action inherent of being alive. It explores the archetypical representations of love, loss, desire, and pain that have come to dominate our sense of self. It questions the pathology ascribed to biological and sociological boundaries.